Ensuring public safety is vital, especially for hospitality environments. Each year, many of us pay a visit to hotels or leisure facilities for one reason or another; many of us to relax, unwind and enjoy ourselves. To keep us safe, relevant and consistent water hygiene protocols are a must. 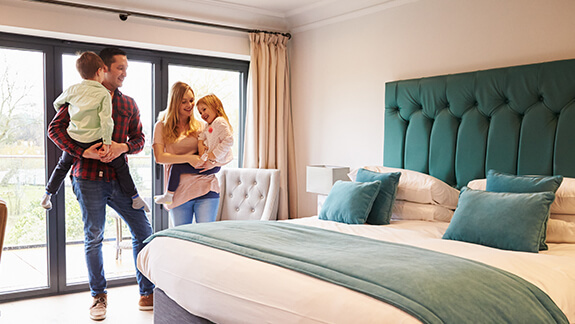 Recent cases within hospitality environments have highlighted a growing need for owners and managers to understand their duties and responsibilities as a legal requirement to identify and control the risk of Legionella to everyone. The Legionella bacterium is an organism that is found within water. The cause of Legionnaires’ disease comes from bacteria which is transmitted by inhalation of contaminated droplets, these droplets enter through the nose or mouth and infect the human respiratory system. Individuals over the age of forty-five have increased susceptibility to Legionella, as the bacteria is more likely to attack impaired immune systems. This means that heavy drinkers or smokers, those with underlying heart, lung or kidney problems and those with diabetes are also vulnerable. Hospitality facilities including hotels, leisure centres and spas are hotspots for contagion, as they store and distribute large amounts of water and are open to the public, though other, industrial premises with water-cooling towers should also be monitored. Hot or cold-water systems, water storage units or water dispensaries, such as taps and spray-heads, are also at significant risk of contamination and should be regularly assessed as part of public and workplace safety procedures. 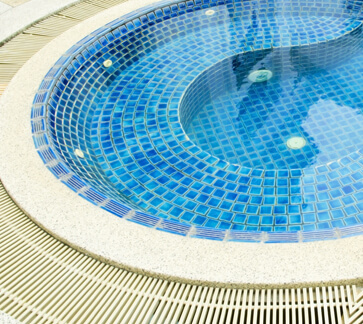 Senior management personnel who are deemed as the competent person(s), known as the responsible person(s), must oversee the cleansing of all showering blocks, taps and pipework, but other common sources that need to be considered are cold water storage tanks, calorifiers, evaporative condensers and interior or exterior swimming pools. If the bacteria enter into the water system and are not dealt with, they can linger in pipework and affect every water outlet within the premises. Indeed, recent examples of Legionella detection within hotel water systems in the UK have led to businesses being shut down altogether by local councils and Public Health England, until all trace of the bacteria has been removed from the system. This obviously results in much lost revenue and affects public confidence. Other risk factors include the state of hospitality premises and facilities, as older buildings with antiquated water systems are more difficult to monitor, clean and test. Legionnaires’ disease can also easily be mistaken for flu or pneumonia, as symptoms include fever, headache, joint pain and diarrhoea, so there is also an associated risk of misdiagnosis. Legionella Cases on the Rise? Legionella outbreaks continue across the UK and overseas. Statistics show that the threat of Legionella is still a huge issue in the UK and yet still goes under the radar for many organisations. Data taken in September of 2018 via PHE showed that there were 440 confirmed cases of disease or instances of Legionella recorded in the UK, with a significant spike in June, July and August, as people started to take their holidays. Increased visits to hotels, spas and leisure complexes increase in turn the risk of contagion and highlight the need for seasonal protocol shifts to keep staff and the general public safe from harm. This evidence serves to demonstrate the need for regular and stringent water-hygiene training for those within hospitality industries. We provide City & Guilds-accredited Legionella control and prevention courses designed for managers, Technical and Engineering staff as well as Legionella Risk Assessors. Training can be undertaken from our facilities in York, Slough and in Scotland, or as a bespoke on-site event. Covering everything from Legionella Management and Awareness to Disinfection and Risk Assessment, our courses provide a complete and comprehensive water hygiene safety package, tailored by our highly-experienced training staff to help ensure compliance. You can find a list of Legionella-based courses here, you can also watch our video hosted by Water Hygiene Training Manager Tony Green. If you are unsure which course or courses are right for you and your company, do not hesitate to contact our friendly Account Managers on 0333 121 1215 or email info@ppltraining.co.uk.